Travel-Tot: The "Don'ts" and "Dos" of a Family Cruise! 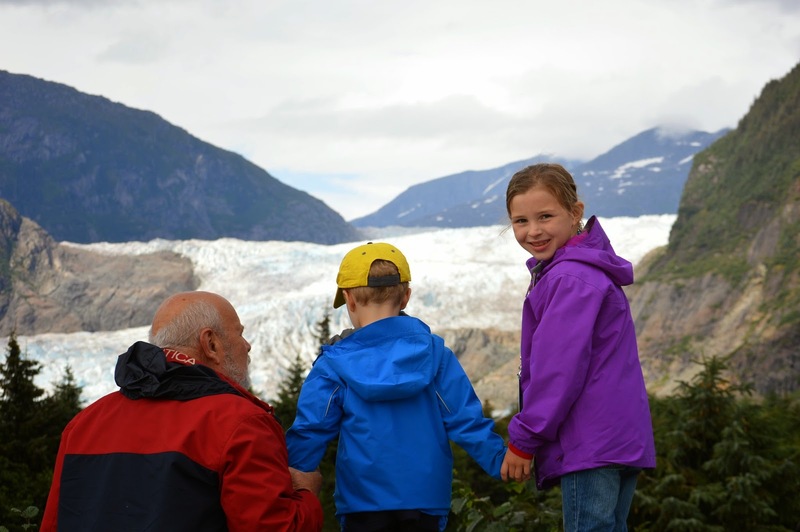 This week we are thrilled to share a fantastic review of an Alaskan family cruise, courtesy of our Chief Marketing Officer, Amy! She and her family enjoyed the trip of a lifetime, and she came back with some invaluable tips for what worked and what she might do differently next time... enjoy! This summer we celebrated my parent's 50th wedding anniversary, and for the first time in 50 years of marriage my dad actually suggested a vacation idea that he wanted to try; a cruise to Alaska! Because it's so rare for my dad to make a request like this, I jumped all over planning the perfect trip for our family. The challenge was to find a cruise line that would cater to and entertain passengers from 4 to 73 years old. Not that my dad and son don't have an extraordinary amount in common, they do, but my son has about 400 times the energy level! I scoured blogs, websites, cruise critics galore and came to this decision - Princess Cruise lines, specifically the Grand Princess. Disney was too child-centric, Celebrity was too entertainment-focused (my dad would stick a hot poker in his eye before going to see a Broadway musical or dress formally for dinner). Princess seemed to be middle of the road, with hundreds of excursions you could plan for every age/activity level. Fantastic service - seriously outstanding. Our waiters were charming and overly gracious and patient with us. The food was fantastic but there were always options for the kids. And ice cream. Always ice cream. How can you go wrong? Every day our steward arranged my kids stuffed animals in a new scene. Tea parties, sleepovers, and even one day they had a elephant (folded towel art) join in the fun. My 7 year old daughter truly believed he brought her and her alone chocolate for her pillow every night. She was enchanted and always intends to travel this way. Whales - we had an incredible experience while cruising through the inside passage. We were all sitting on the balcony in awe of the scenery and looking for bears, sea lions and porpoises. Out of nowhere, humpback whales. OH MY. My son was squealing "MY FIRST WHALE, MY FIRST WHALE!" much to our amusement and to the other watchers on adjacent balconies. My daughter gasped and said "I just hope I can see a whale's tail". Right after that, the one closest to the boat dove under and lifted his tail high for her to see. I whispered "you're a whale whisperer!" and she just smiled from ear to ear. MAGICAL. Excursions - there were hundreds to choose from. We kept it simple. We duck-boated in Ketchikan - fantastic tour of the city complete with corny jokes and duck whistles. 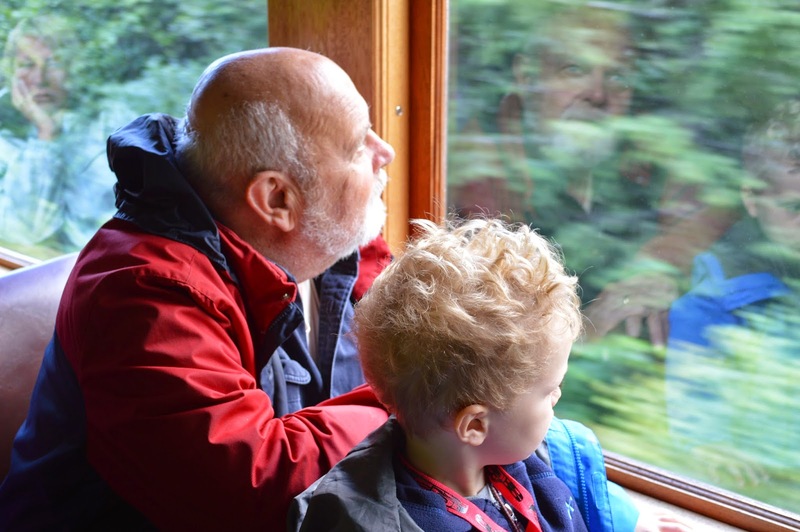 We took the Yukon Railway in Skagway - a great trip if you're interested in mining and railroad history as my dad is. My daughter LOVED the blood curdling drops and vistas. In Juneau there was so much to see, we decided to rent a car and do as much as possible on our own which worked out great (minus a few completely lost moments!). As great as all the tours was it was nice to just be on our own that day. Formal night - We didn't get that the formal night actually required you to be dressed formally. For some reason I assumed (dumb cruise newbie) that if you WANTED to be formal you could, but we found out that if you weren't at your fanciest you couldn't eat in any of the specialty dining rooms. Biggest bummer being that the formal night fell on my parents actual anniversary. There were places you could go but I couldn't bear the thought of my mom standing in a buffet line on this incredible occasion. We made it fun though and ordered monstrous amounts of appetizers and champagne to the room and really just enjoyed each other, which was in the end - what it was all about.